Thought I’d pass along a few photos of Suzane Reatig’s latest effort in Shaw, on 5th between N and O. This was a rowhouse with an empty lot next door. 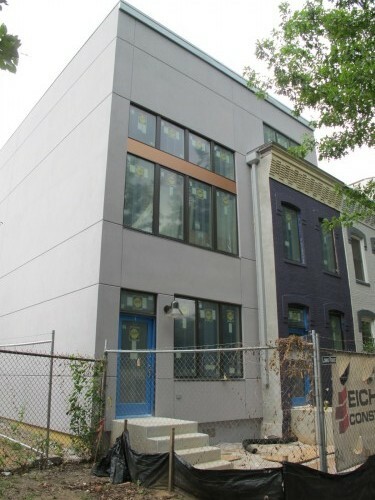 She gutted the rowhouse, built her typical color blocked, grey building next to it, combined the two, and then BUILT the new building over the TOP of the old one like a pop-up. And then she painted the old one purple. They share the same address, so I assume they will be condos. 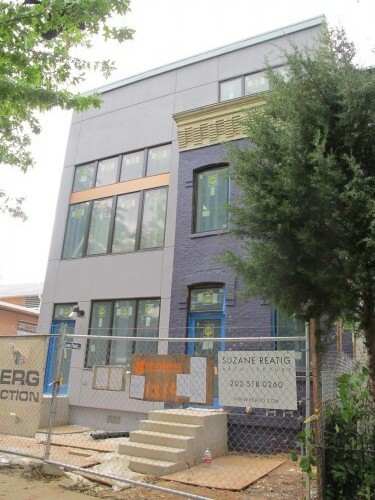 In early August we looked at a Reatig project at Rhode Island and R St, NW.